This article provides a quick way to backup the most common things in a typical web hosting scenario: website files and database data. We will setup a full daily backup of a website folder and a copying of this data to a remote server (this can also work for another VPS). We will also set up a rsync example to just copy the incremental changes. Finally, we'll set up backup of a MySQL database. The procedures described use a few simple Bash commands, rsync and cron to schedule backups. For example data, we can install WordPress as per this tutorial. It will place WordPress in /var/www/wordpress directory and a MySQL databasewordpress and we now want to take a backup of all the data. 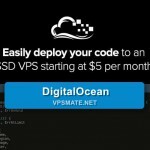 DigitalOcean provides <ahref="https: www.digitalocean.com="" community="" articles="" digitalocean-backups-and-snapshots-explained"="">Snapshots and Backups, to handle backups and snapshots very well. 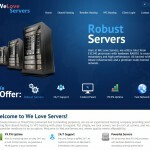 There are also excellent backup-as-a-service solutions that work with the minimum configuration. But sometimes we want to use another backup server or perhaps an inhouse server, and we want a quick way to pull the data from webhost back to our server. In that case, these tips can help. 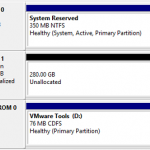 There are two ways to do backup: incremental and full backups. A full backup copies all the data, while the snapshot only handles the changes since the last update. Copy the resulting archive to a remote server. As noted, our data will reside in /var/www/wordpress directory. We will designate a backup folder location. The above command will create a /backup directory, and a /backup/wordpress directory, if they do not exist. To create a full snapshot of our data, we use the linux tool called tar. Tar will create a gzip archive in a file initial_backup.tar.gz. We could add a v flag (so we gettar -czvf) if we want a verbose output (list of filenames). We name the file initial_backup.tar.gz so that we know that this is an initial backup, it is archived with tar and iz is zipped in a gzip format. Tar will use whatever arguments we provide as a source, in our case it will backup /var/www/wordpress directory. We could pass two or more arguments, whether they be files or folders: ie. The last command would backup all of our installed cms systems. We save the file with CTRL-X and confirm with Y and Enter. The above command will tell linux to repeat our command every day at 3:30. We also told cron to email us with the results. You will receive the message: /bin/tar: Removing leading `/' from member names, as a sign that everything went through. In case of errors, the message will contain the details so we can fix this. So, a daily backup is ready and working. We need to copy this public part of SSH key to the remote server, to a file authorized_keys. I assume we already have a remote server called backup.example.com and a user backup. This could be an empty newly created DigitalOcean VPS (droplet), but the user has to be created beforehand. We will only do this part once. ssh [email protected] "mkdir -p /home/backup/.ssh"
ssh [email protected] "chmod 700 /home/backup/.ssh"
ssh [email protected] "touch /home/backup/.ssh/authorized_keys"
ssh [email protected] "chmod 600 /home/backup/.ssh/authorized_keys"
ssh [email protected] "mkdir -p /home/backup/backups"
The few commands above created a directory for SSH to work with, if it didn't exist, and also the authorized_keys file, which needs to be present for backups to work. We also created abackups directory to store our files to. Now what is left is to copy our public key to that file. Now we can use this key to copy stuff in the future. ssh [email protected] "ls -l /home/backup/backups"
Note: this is not the usual way to do it, it would be better to setup a script which does all the tasks and then schedule the script. But for the brevity of this article, we'll use that form. ssh [email protected] "mkdir -p /home/backup/sync"
rsync -avz --delete -e "ssh -i /root/.ssh/id_rsa_backup"
Now our remote server will always have a fresh synced copy of the data, and we can do the backup there. Now we could also combine it with scp or rsync to copy it remotely. With this setup, we have a basic backup of our data set up for a case of emergency.